The world is filled with film terms that are vague, ambiguous and over-used and mise en scène is most certainly such a term. Since it is a vague term, and is used differently in different contexts, it will never be definitively defined, and certainly not by me. Of course many have written about it, including some of the sharpest critics writing now such as Glenn Kenny and Adrian Martin. Kenny, when writing about Horizons West (Budd Boetticher 1952) in this post, focuses on the "clarity and momentum and the necessary information placed in the correct space with little sense of fuss or strain. Which could, in a sense, be mise-en-scene." Martin has written a whole new book on the subject, Mise en Scène and Film Style (2014). He there highlights the fact that mise en scène means different things to different people in different countries at different times, and he distinguishes between two aspects. 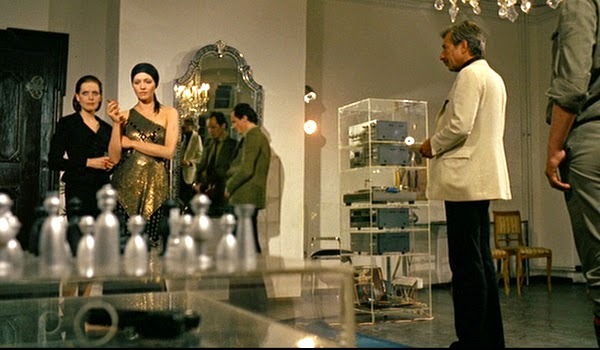 If mise en scène is to be used I feel it should be used to refer to something more specific; something deliberately, artificially created, staged, for the purpose of the shooting of a scene, to return the term to its theatrical roots. But I would also include sound and colour grading as being part of it. What is required is unity, coherence and spatial awareness (space being integrated in the scene, with the actors and their movements). Some seem to connect it especially with "classical cinema", and some conflate it with long takes and elaborate camera movements, but I see no reason to do that. Editing can be a part of it when it is done within the context of the specific scene, such as from a medium shot to a close-up, or from a high angle shot to a low angle shot. 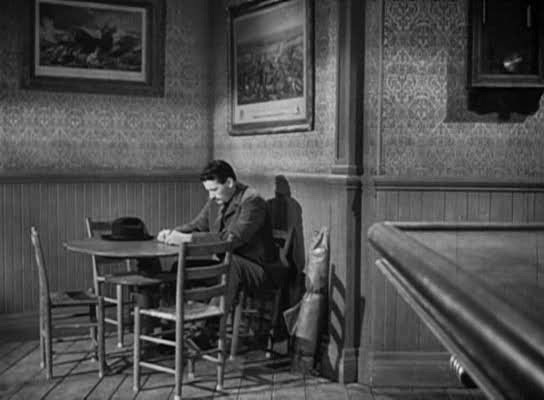 But a tracking shot through a real city street would not count as mise en scène whereas this shot from Henry Hathaway's Niagara (1953) would. But outdoor tracking shots are not excluded wholesale of course. In Weekend (1967), Jean-Luc Godard does a very long tracking shot alongside a country road which is filled with cars, people, animals and various activities and set-pieces, staged by Godard for the film, and that might very well be regarded as a striking example of mise en scène. Instead of forcing the term into the straitjacket of a definition, I will leave it somewhat open, but I still want it to refer to something specific, the coherent, spatially aware scene I mentioned above. Its occurrences are all around us, in films, in video games, in art installations, in paintings. 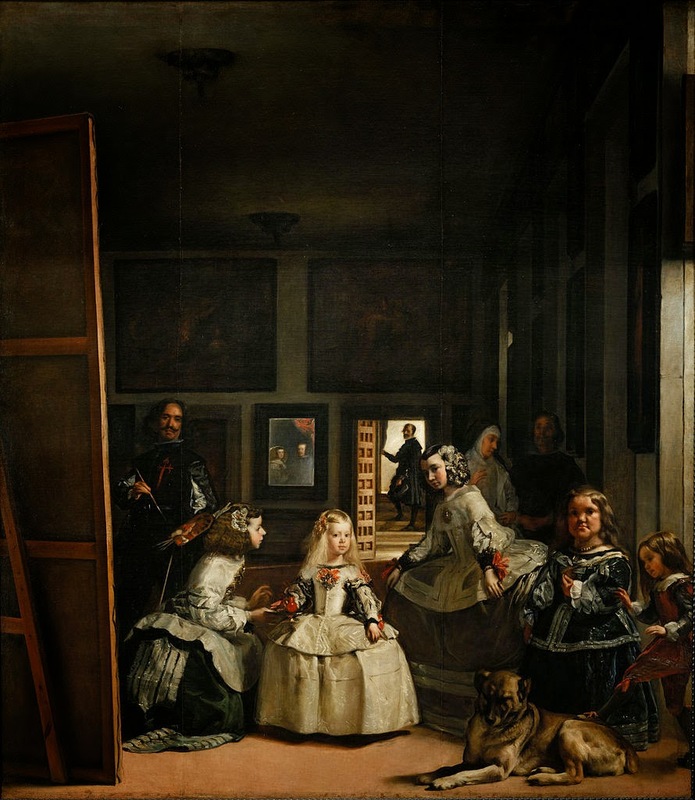 Diego Velázquez's Las Meninas, from 1656, is an excellent example. In films the term is for me especially connected to F.W. Murnau, Henry King and Douglas Sirk, because their mise en scène is frequently so striking, meticulous, sometimes overwhelming, and complete (or integrated), it is where they put the most emphasise and tenderly cared for. But this is more of a personal hang-up; there is no objective reason for emphasising those three and not, say, David Lean, Rainer Werner Fassbinder, Akira Kurosawa, Wong Kar-Wai, or Carol Reed, among many others. Unlike Rivette in his comment quoted above, for me mise en scène is not related to quality, it is a neutral element of a film, and it might be good or bad. Whereas somebody like V.F. Perkins prefers unity and coherence and compare it unfavourably to fragmentation and disparity, I do not favour one over the other. It is not a contest but different ways of filmmaking, and to each his own. The scene below, from Michael Bay's second Transformers film, Revenge of the Fallen (2009), is a favourite of mine, especially the part when all the marbles (tiny transformers) fall down the ventilation shaft and then come together to form a much bigger transformer, a large copy of all the small individual ones. It is both ingenious and beautiful, in its idea as well as in its execution. But Bay pays almost no attention to space here, or the surroundings, so this is not what I would characterise as great mise en scène. 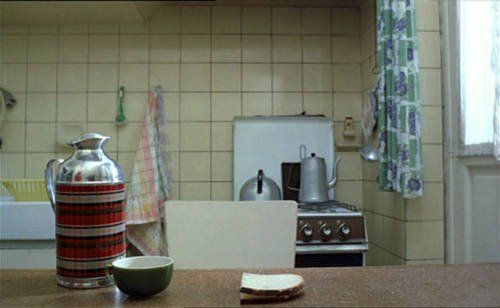 Or is it perhaps after all in line with my own view of mise en scène, narrow and vague as it is? But it does not matter for in any event the sequence is excellent. For those who want to read more about Adrian Martin's thoughts on mise en scène but have neither the time nor the money to invest in his book, try this piece. In his book he also suggests that should we want "a decent English translation for mise en scène, staging is not bad". (2014: 15) Yet he seems to think that there is a lot more to it than that. As a teenager I began taking photographs, and when doing so I wondered whether what I was doing was art. I came up with my own distinction after I had been standing at a street corner waiting for a bus to drive by so that the photo I was taking would juxtapose the bus with the houses around it. This I thought, the waiting and the deliberate juxtaposition, is what made it art rather than just a documentation of what happened to be in front of the camera. But, of course, nobody else but me would be able to make that distinction (about this particular photo) because they would not be aware of the thought-process involved. This is one reason why I am usually weary of discussions about whether something is art or not. I am weary because the answer depends on different variables, and you do not necessarily know about the particulars. The old saying "I know it when I see it." is not relevant when it comes to defining art, because you also need to "see" the process that brought something about. A work of art is a combination of an idea and the technique used to make that idea be visualised, and the quality of an artwork, for me, is based on both those two things. All technique and no idea often make for bad art and all idea and bad technique can make for bad art as well. But I also think that context also matters. A photograph, say, might become art by being placed in a particular context, regardless of the idea or technique behind that particular photograph, and regardless of what we know or do not know about its conception. Here it is the idea and technique behind that context that matters, and not the individual photograph. Even a small stone can be art in the right context. It is also like this when it comes to film. Let's take auteurs as an example. For some critics at Cahiers du Cinéma, it was important that the director also wrote the scripts. 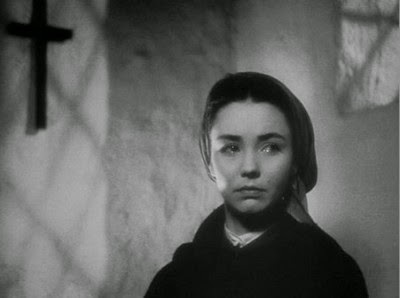 Jacques Rivette once said "that's why in Cahiers we've chosen to defend directors like Hitchcock rather than Wyler, and Mann rather than Zinnemann, because they are directors who actually work on their scenarios." There are two curious things about this. One is the word "chosen". It might be a bad translation, or did Rivette mean that they had a meeting one day to decide which filmmaker they should like, rather than just go to the screenings with an open mind and decided afterwards what they liked and did not like? The other curious thing is a direct example of what I said above about the thought process behind my photographs. Whatever Rivette thought, both Wyler and Zinnemann worked on their scripts, more on some films than others, yes, but they always worked on them. There is no obvious reason to choose Hitchcock and Mann over Wyler and Zinnemann in that respect. 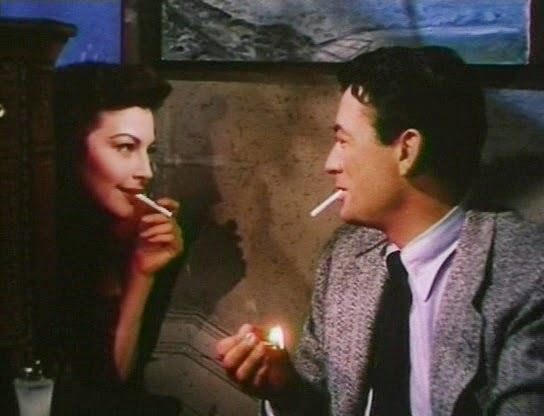 There were credited writer/directors such as John Huston, Russell Rouse, Billy Wilder, Sam Fuller, Ida Lupino and Preston Sturges, but even when uncredited most directors in Hollywood worked on their scripts, or at least the majority. William Wyler was one of those directors who had the most control over their productions, including the scripts, and this would mean two things: working side by side with the credited writers or getting script papers and either rewriting them or sending them back demanding this and that to be changed.  Typical beginning of a Fuller film. This one is Forty Guns (1957). When Henry Hathaway was making Home in Indiana (1944) there was one scene by a lake, and Hathaway wanted the sun's reflection on the water to be just right. So he held up the production for several days until he was happy with the light and the reflection. But when watching the film you would not know this, as you would not know how long I waited before taking the photograph with the bus. Hathaway, unknown to the audience, showed himself to be an artist. For some it is not art if they do not like it, and for others art equals complexity and difference. But that is depressingly narrow, and unhelpful. The idea might be simple and the technique complex, or vice versa, and in any event it is not obvious what is complex and what is simple (if those are opposites). How do we compare a poem by E.E. Cummings or Emily Dickinson with a painting by Edward Hopper or Helene Schjerfbeck in terms of complexity and simplicity? In films there is the expression "art cinema", which is very dubious and seems to spring from the nervousness among critics and scholars that films are not really serious enough, or that others look down upon it, and therefore we must add the word "art" to make it clearer that it is indeed that, art. But cinema as a whole is an art form, and calling something "art cinema" is as daft as calling something "art painting" or "art poetry". There are good and bad films, but art has no relation to quality, art is what it is, regardless of whether we like it or not. "Art cinema" usually refer to the non-linear, the character-driven, the unconventional, but why should these things be the markings and boundaries of art, and, in any event, whether something is character-driven or not, or unconventional or not, is not obvious. These are just terms that are in use without much thought given to them (and there are many such terms out there). When I was younger I struggled with the duo of Federico Fellini and David Lean. I was embarrassed because I liked the films of Lean much more than the films of Fellini, yet I was convinced that Fellini was an artist and Lean was not. Then one day I realised that this was both wrong and stupid. They were both artists, to the same excessive degree, and whether I preferred the films of one to the other was just a matter of personality. It is still the case that I prefer Lean's films, what has changed is that I am not embarrassed today and I would not say that one is more of an artist than the other. 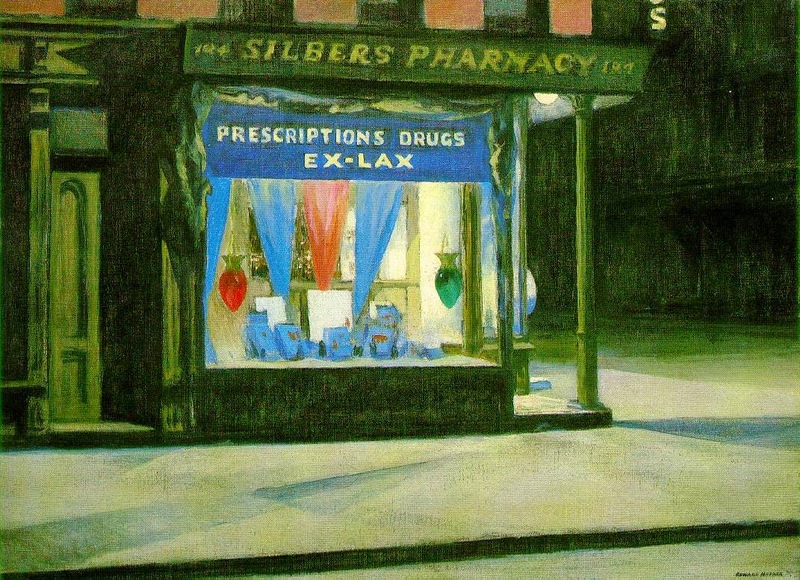 Drug Store, a favourite among Hopper's paintings. Art is frequently put in contrast to commercialism, but that is unhelpful too. A scholar once criticised Merchant Ivory by saying that when they understood that Howards End (1992) was a success they immediately made Remains of the Day (1993) "and smack, that's just commercialism". But Merchant Ivory had been making such films at least since The Europeans (1979), their earlier Indian films were different, and should they stop making them only because something finally happened to be a great success? It is a ludicrous proposition. But it might perhaps depend on your definition of commercialism. Many artists, from Michelangelo through Shakespeare and Mozart to Bergman and John Ford made their living from their art, from being artists. If that is commercialism, then commercialism is not a problem. But if commercialism means you make something that you do not believe in, and you do it only because you want to make money, then commercialism might be a problem, although, again, how would you know as the observer what motivated the person making the work you had just experienced? The work in itself is not enough, the motivation behind it is also needed, and we are rarely aware of that motivation. If I once thought that the question "Is it art?" was an interesting one, then I have changed my mind. Art can be anything, and anything can be art, it all depends. And here, as is so often the case, I prefer to be open-minded and generous. Orson Welles reciting (the first stanza of) Kipling's poem "The Conundrum of the Workshops", in a scene from perhaps the greatest film Welles ever made, F for Fake (1973). I should add that the Rivette quote can be found in Jim Hillier's edited collection of writings from Cahiers du Cinéma. The first volume, called The 1950s: Neo-Realism, Hollywood, New Wave (1985), p. 38.